Why Do People Use Maidenhair Fern? The oral preparations of Adiantum capillus-veneris (maidenhair fern), like maidenhair fern powder, are used for coughs, bronchitis, excessive and painful menstruation and whooping cough. It is also consumed orally as demulcent, expectorant and for severe coughs. Topically - Maidenhair fern is applied to the skin in order to promote dark hair color and for lessening hair loss. Possibly Safe - Oral consumption of maidenhair fern in various foods items is thought to be safe in most cases. 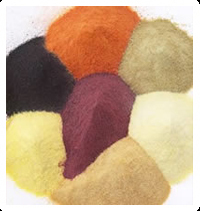 About the safety of maidenhair fern powder for other purposes, there is lack of authentic insufficient information available. Likely Unsafe in Pregnancy - Oral consumption of maidenhair fern during pregnancy is thought to be unsafe, which is possibly because of its emetic reactions when high dosage is consumed. Avoid Using in Lactation - Maidenhair fern is also not recommended for breastfeeding women because there is insufficient and unauthentic information available in this regard. How Effective Is Maidenhair Fern? To rate the effectiveness of maidenhair fern, there is lack of authentic and reliable information available. There is lack of reliable information available regarding the mechanism of action of Commiphora wightii. What Are The Side Effects /Adverse Reactions of Maidenhair Fern? Over dosage of maidenhair fern may lead to excessive vomiting. How Maidenhair Fern Interacts With Other Herbs and Supplements? Commiphora wightii doesn’t seem to interact with any herb or supplement. How Maidenhair Fern Interacts With Drugs? Different drugs don’t lead to any serious interactions when used in combination with maidenhair fern powder. How Maidenhair Fern Interacts With Foods? How Maidenhair Fern Interacts With Lab Tests? How Maidenhair Fern Interacts With Diseases and Conditions? What Should Be the Dose/Administration of Maidenhair Fern? Oral usage of maidenhair fern is usually in the form of tea. A single dose is equal to 1.5 grams powdered or ground herb. Such tea is made by soaking 1.5 grams dried herb in 150 mL of hot boiling water for 10 to15 minutes and then straining. Maidenhair fern tree is another name used for Ginkgo biloba but should not be mixed with maidenhair fern.